— Steve Jobs / Apple Inc.
Rockwall OpenSpace (ROS) was the first official co-working space to open in Rockwall, Texas. Early on, Harpoon Design Group was interested in working with ROS for our co-working needs. From there, we developed a working relationship and began designing their logo and visual identity. Not only did we begin to share new ideas, we began to bring them to life. American Wonder Porcelain (AWP) is an American company with international roots, with manufacturing based in Lebanon, Tennessee. The U.S. division is committed to the future of the tile industry in America and believes future growth depends upon increasing domestic manufacturing, adopting new and innovative techniques. and spearheading ongoing research and development within the industry. In their pursuit for market share growth, AWP's marketing leadership engaged the Harpoon Design Group to elevate the look and feel of their room scene photography and overall brand presence. Cutting Edge Pediatric & Adult Therapy works extensively with adults and children who, due to disabilities or complex medical conditions, need assistance in developing the kind of everyday skills that allow them to function more independently at home, school, or work. Harpoon Design Group worked with Cutting Edge to develop a regionally focused ad campaign series, as well as handle design support for their internal marketing team on an on-going basis. After Hurricane Harvey had caused vast destruction to the Texas Gulf Coast area, we had an opportunity to personally visit and assist with clean-up and recovery. There are no words to describe the devastation once you see it first hand. One of the many residents that call the Gulf Coast home is Mid-Cities RV Park, located mid-point between Aransas Pass and Rockport. As we talked with the owners, they discussed not only rebuilding the RV park, but rebranding as well – and that's where we stepped in with a new logo and updated website. Thankfully all of our family and friends were able to escape the storm unharmed. 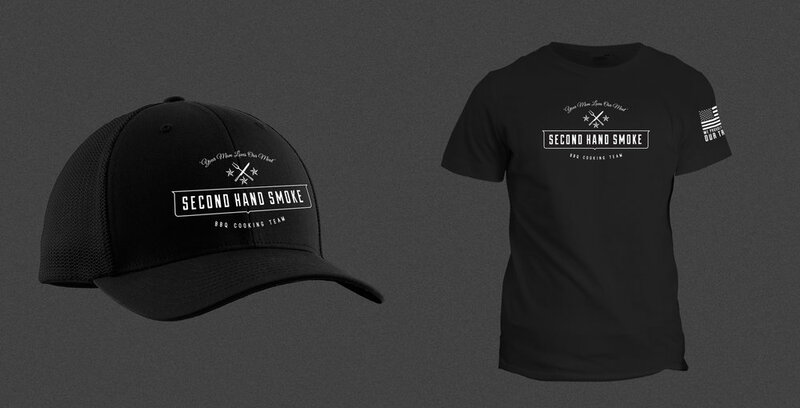 The Second Hand Smoke (SHS) BBQ Cooking Team is very enthusiastic about what they do – competitively cooking and smoking meats. SHS takes pride in their culinary prowess – enough so, that their slogan speaks for itself – and they wanted a logo design that matched that same bold claim.